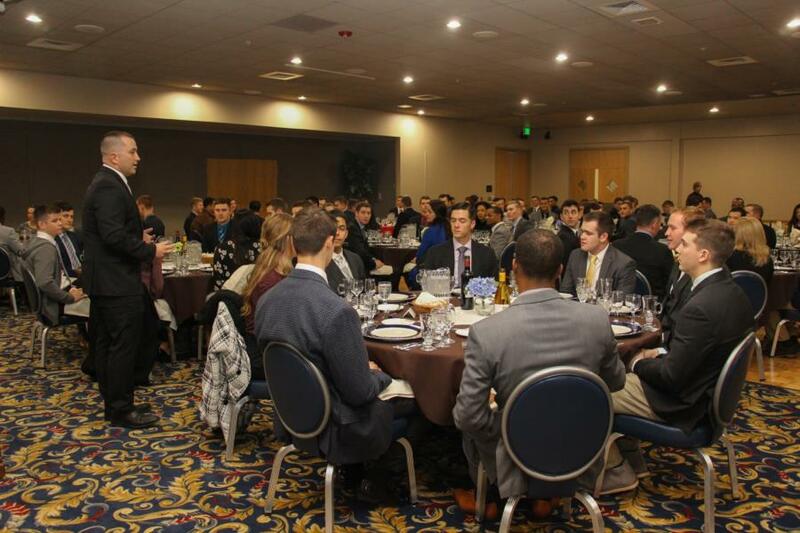 We stopped by the Falcon Club for another Social Decorum Formal Dinner this week, the Cadets in attendance were C2C's and C1C's from Squadrons 21 and 22. All year long Cadets from each class have taken part in their own Social Decorum Training. C3C's and C4C's take a class in Fairchild about topics such as; How to give a proper handshake, introducing themselves, eye contact, and more. 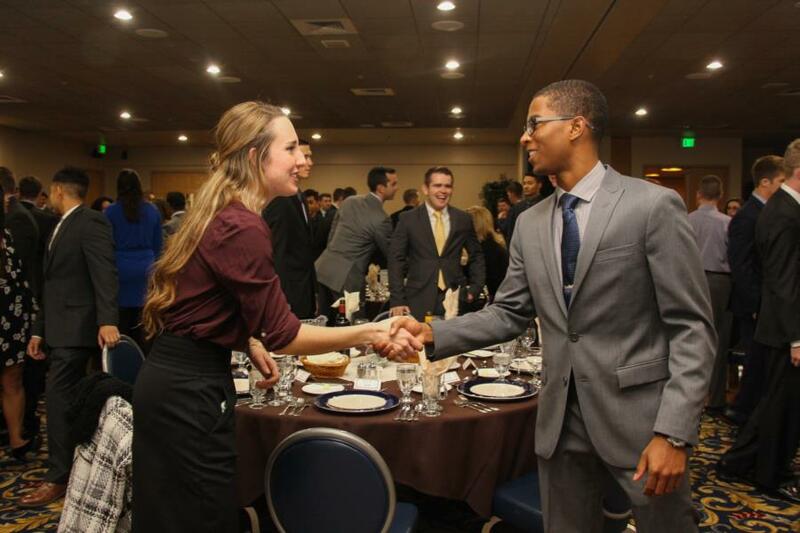 Then in their 3rd and 4th year as C1C's and C2C's will attend Formal Decorum dinners where they must dress business/professional and practice proper dining etiquette with a 5 course meal as well as practicing their conversational skills and everything else they've learned over the last three to four years to help prepare them for any situation. Whether dining in or out, a social event and even a job interview. Two squadrons of C1C's and C2C's in the same group will attend these dinners together at the Falcon Club. 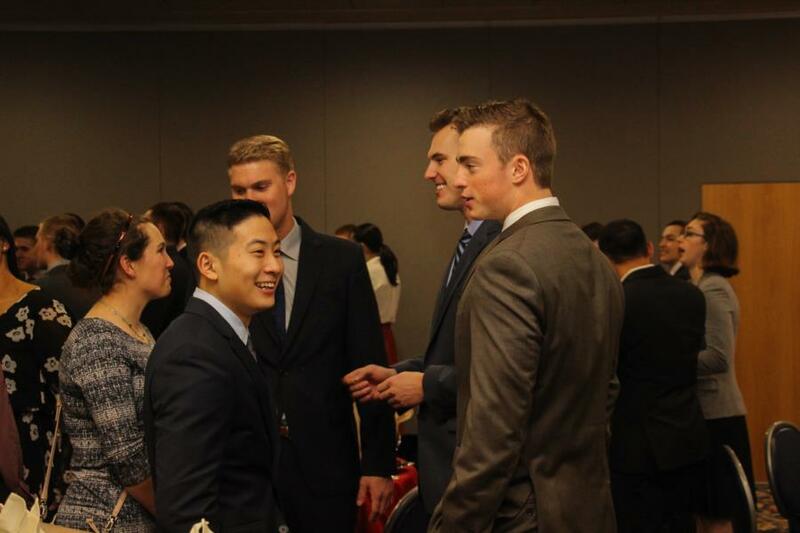 The cadets are able to mingle with each other before the dinner begins and they must introduce themselves to everyone they will be dining with at each of their tables. 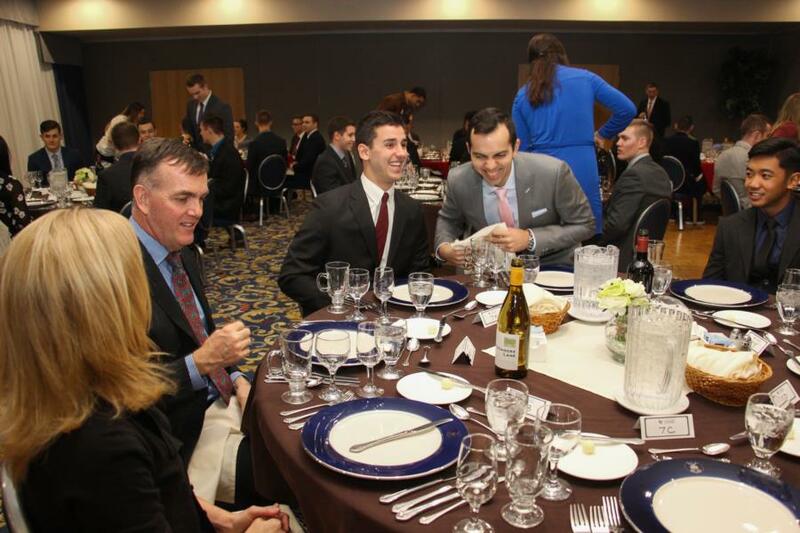 Once seated, a cadet is chosen from each table to pour the wine for those 21 and older. Prior to the food being placed in front of them the Cadets went over a few things, such as where their bread plate and drinking glasses are located, bread to the left and drink to the right. Fun fact: A quick and easy way to remember is making a "b" with the left hand and "d" with the right. To view the rest of the pictures from this dinner go to; Galleries - Military Training - Character & Leadership Development. Or click the link below.